Major marketplaces, like Amazon and eBay, come with restrictive seller policies. These venues downplay merchants’ branding to maintain their own homogenous image. Sellers with their own online stores play a different game. They have complete control over their customers’ experiences. Whether it’s rearranging product placement or highlighting a store sale, merchants can use their website to directly connect with their customers and encourage purchases. But with so much freedom, online store owners may not know where to begin with curating their shop. To start attracting buyers and retaining loyal customers, here are our 20 killer tips for creating a successful online store. These strategies cover how buyers experience each element of your online store to explain how each aspect should be crafted to attract buyers and drive up sales. By following these strategies, sellers can target customers’ interests through their online store so that their business stands out amongst less savvy merchants. It doesn’t matter if you have the best product possible in your niche and the best customer service on top of that—if your store’s web design is lousy, your online business presence is doomed. According to a Kissmetrics study, 93% of buyers consider visual appearance to be the most important factor when making a purchase. To create a profitable online store, you can either pay a pretty penny to a web designer or take it upon yourself to learn to code. Alternatively, you can just get a ready-made template and customize it to your needs. Fortunately, there are thousands of great ecommerce templates on the web provided by sites like TemplateMonster, TonyTemplates, Apollotheme, and others that have clean designs, intuitive layouts, and follow the latest web design trends. Your online store can be designed by a professional, by yourself if you know how to code, or with an ecommerce store template. Web design should captivate site visitors’ attention. 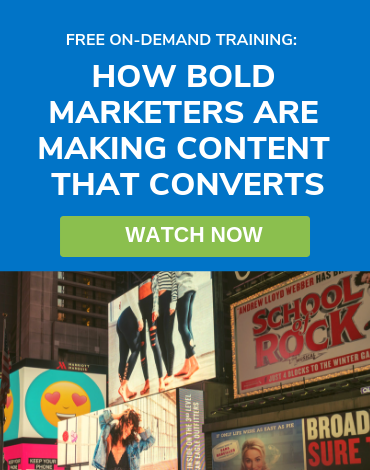 Engage customers with full-width images and minimal text. If a visitor goes to your “About Us” page, that means they are already interested in you and are giving you a chance to prove to him or her that your product is the best. What you need to do is clearly spell out what you are, what you do, and, most importantly, what you offer to the clients. All testimonials, achievements, and any kind of social proof is welcome there. Packing your “About” page with too much information can be overwhelming for site visitors. Some online stores, like Tens in the example below, opt for a minimalist design to keep information clear and easily comprehensible. “Contact Us” information is usually placed at the bottom of a website, and users are used to finding it there. Include basic information about your business on the page, such as your contact information, address, and social media accounts. Avoid cluttering the “About Us” page with too much information. Keep visitors engaged with a minimal design. 3. Partner with Other Brands. Giving your hard-earned money to a little-known company isn’t easy for most buyers. Establish your reputation by showing which companies are working with you. They don’t necessarily need to be on the scale of a Coca-Cola or Apple, but even small companies can add a degree of trustworthiness to your enterprise. 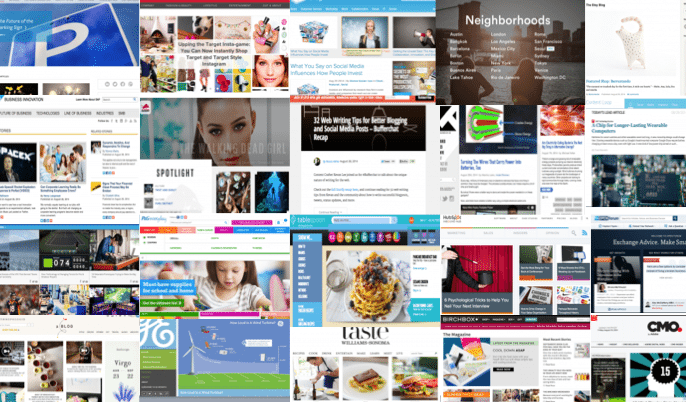 Highlight partner companies on your homepage to immediately showcase your reputation to site visitors. If you have a large amount of partners, showcase them all. The more partners you have, the more buyer trust you’ll build. Your consumers need to know they will have support after they make a purchase, if needed. Guaranteeing troubleshooting after the purchase and consulting before the purchase can convert potential buyers into loyal, returning customers. The most comprehensive, helpful type of support is a live-chat feature that works 24/7. 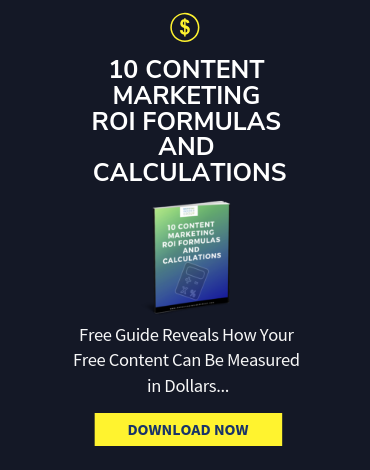 This tool can increase your site-wide conversion by 10% or more. If you don’t have the resources to offer round-the-clock support, you should still provide some type of service to help people during working hours. The company keeps the chat feature easily accessible, yet unobtrusive to buyers in the bottom lefthand corner. Offer support at all stages of the shopping experience to encourage new buyers to make their first purchase and returning customers to continue making purchases. Make your customer support features, whether that’s a phone line or a chat box, visible from the homepage so that buyers are aware of those services. No online store can exist without payments. Offer a wide variety of popular payment options for your customers so they can always easily make a purchase. PayPal reigns as the go-to payment solution, but there are other popular options for your business to consider. Check out Entrepreneur’s list of 15 other widely-used payment methods to see if there’s another service that fits your business’ needs. Allow sellers to create an account on your store and save their payment information to make future purchases more seamless. Offer a wide variety of popular payment options so that every consumer can easily make a purchase on your store. Advertising on social media channels is a powerful way to connect with lots of potential customers in creative, fun ways. 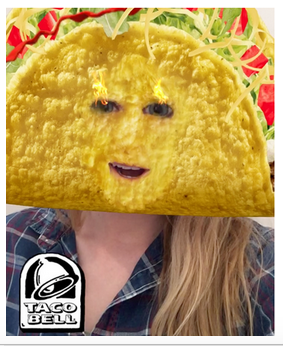 Social media advertising can be anything from a simple Facebook feed post to a taco-shaped lens on Snapchat. Use tools, like Google Analytics, to track which channels your target customers are using most, and focus your marketing efforts on these platforms. If you get confused by the relatively new terrain of social media, check out these guides to Facebook advertising, Instagram advertising, and Snapchat advertising to get started. 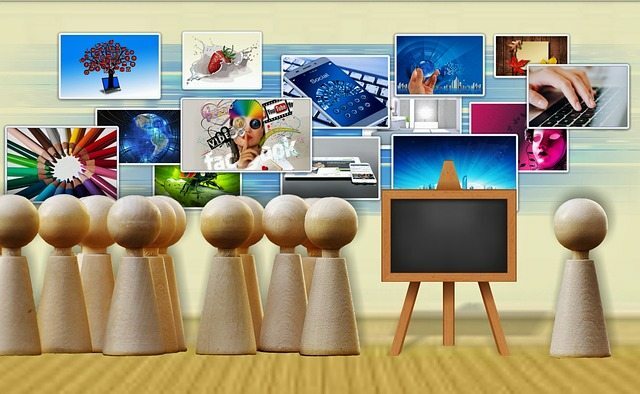 Here are a few actionable tips for advertising on social media. Social media marketing allows for a lot of creativity, so try to implement the personality of your key buyers into your ads. Use social media analytics to track the success of your ads and form strategies on how you can improve future promotions. A blog is also a medium to connect with audiences on a deep level. Seeing how customers respond to the content that you produce can inform your strategies for meeting buyers’ needs and wants. 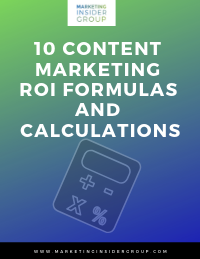 Blog posts build buyer trust when they provide some sort of value to the reader, like offering expert advice on your product usage or an industry-related topic. Reviews and ratings of your products boost your trustworthiness immensely. Online shoppers can’t meet sellers in-person, so they rely on other buyers’ feedback to assess merchants. Ratings on product pages save consumers’ time by quickly showing what other customers think about the product. Product reviews are more convincing when they’re plentiful. To encourage more feedback, don’t be shy about asking your customers to leave a review after making a purchase. Customers who are satisfied with your product often won’t consider leaving a review because everything is already fine. Give them a gentle push, and they’ll likely be glad to share their positive experience with others. Indicate the average rating and number of reviews at the top of each product page and at the bottom where you display the content of the reviews to increase the feedback’s visibility. Incentivize leaving a review by offering buyers a small discount after they make a purchase if they leave feedback. Your online store has to receive traffic in order for purchases to happen. The key to generating traffic? Search engine optimization. By incorporating SEO keywords into your product titles and descriptions, your site is more likely to rank higher in search engine results. 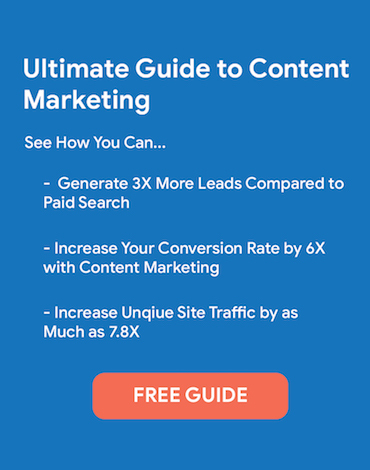 The increased visibility is the key ingredient for greater site visits and more conversions. If you’re unsure about how to find SEO-friendly keywords or how to incorporate them into your store, check out this helpful guide on SEO optimization of ecommerce websites. Use SEO tools to find keywords that have high-enough monthly search volumes and low enough keyword difficulty for your site to rank. Type in SEO keywords you’re considering adding to your product pages to see which results you’ll be competing with. If the results are major sites, consider changing your term to something less competitive. Mobile shopping accounted for 30% of online purchases last year. This figure is only increasing—Business Insider predicts that by 2020 mobile shopping will account for 45% of all ecommerce shopping. With the growing use of phones for online shopping, merchants have to ensure that their site design is mobile-friendly to make sure buyers can make purchases, no matter what device they’re using. Tech-savvy sellers can check operating system requirements, like these iOS guidelines, to ensure that their site is responsive. Merchants can also use online store design templates that are already set to be mobile-responsive to make their site device-friendly. Here are a few actionable tips for ensuring your site is mobile-responsive. 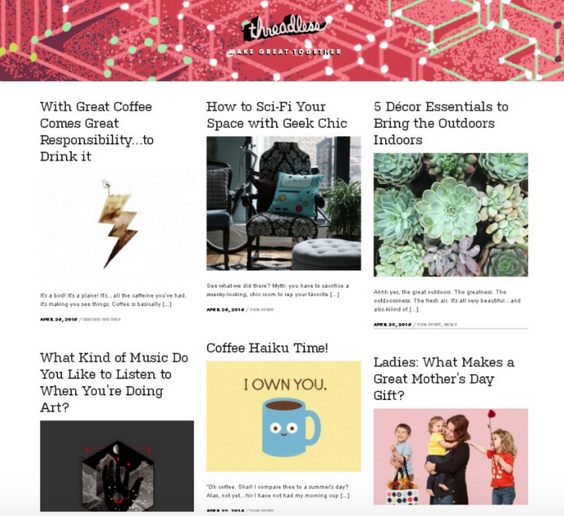 Opt for vertical designs over horizontal designs for easier scrolling and viewing your content on phone screens. Test out your store’s mobile responsiveness by loading it onto a phone and browsing through to check for errors. 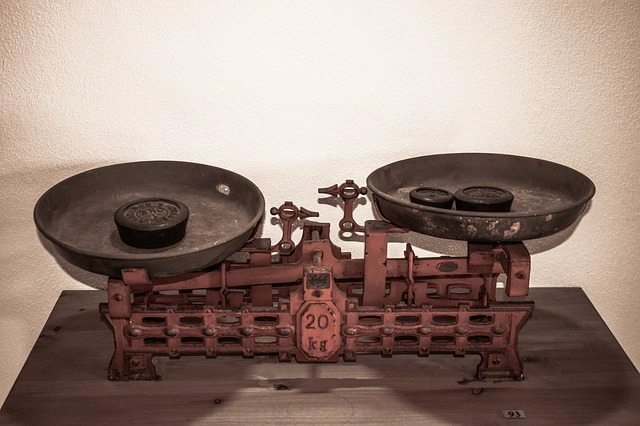 Online store owners can’t improve their growth strategies without monitoring their progress. The best way to track your selling activity and customers’ behavior is to use a tool like Google Analytics. This program provides sellers with clear metrics about their store, such as the percentage of product sales, the number of site page visits, and the number of abandoned shopping carts. 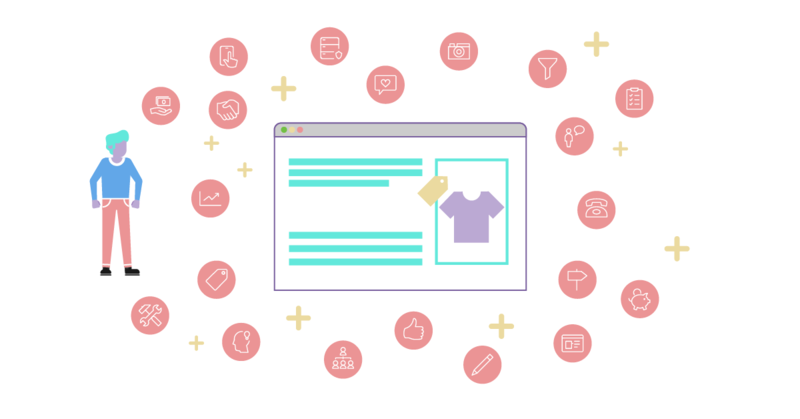 You can easily set up Analytics for your online store by following these instructions. Continually track your selling metrics with Analytics so that you can form long-term insights on how to engage customers more effectively and encourage more purchases. Merchants who need help setting up Analytics or are unsure about how to form data-based insights should check out our guide to using the tool with your online store. When you set up Analytics with your store, enable the “enhanced ecommerce tracking” feature for a wide range of insights on your seller activity. Create Segments on Google Analytics to form data-driven insights on your key buyer groups. Instructions to set up Segments are here. Thanks to Amazon Prime, free shipping is now an expectation of online shoppers. The added cost of standard shipping can easily dissuade buyers today from completing their purchase at checkout. Sellers who can afford to offer free shipping should provide the service if they aren’t already to incentivize purchases. While the upfront cost of offering free shipping may hurt at first, many merchants see a greater return with increased purchases after offering the policy. To make sure customers are noticing your generous policy, highlight on your online store that you offer free shipping, as Thrive Market does in the photo above on their home page. Here are a few actionable tips for attracting buyers with your shipping policy. Offer free shipping to lower the overall cost of your item for buyers and incentivize the purchase. Highlight throughout your online store that you offer free shipping so buyers are motivated to keep shopping. These four groups can quickly spread the word around your product, so it’s worth reaching out to network and share why you might be valuable to work with. Use tools like Buzzsumo and Voila Norbert to find influencers in your industry that you could reach out to. Organize the individuals who you want to reach out to with specialized categories, like their number of followers or likelihood of responding. Merchants who don’t have a coding background should consider using software, like Shopify and BigCommerce, to set up their online store. 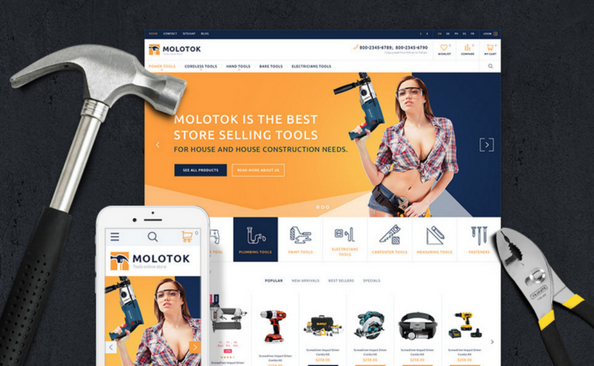 These programs have built-in store templates, so sellers can easily customize their sites without any knowledge of programming or graphic design. Shopify allows sellers to easily customize their online store design. For sellers interested in Shopify, check out our guide on the platform’s free store themes to start taking advantage of the software’s design tools. Make sure the design of your chosen template aligns with your key buyers’ personalities and your brand image. Software, like Shopify and BigCommerce, will typically have recommendations about which types of businesses are suited for each design. If you pay for a Shopify theme or other software template, consider the cost of a graphic designer as well. A designer is going to be more expensive than almost all templates, but it’s worth knowing the cost difference to assess the value of the template. Customers browse through online stores looking for the lowest prices and the best overall shopping experiences. To keep buyers attracted to their store, merchants should identify shops that are similar to their own business that they can compare against. Are these stores offering 60-day or 30-day return policies? Do they offer free shipping or only paid options? Figuring out what makes competitors more advantageous enables sellers to determine what they need to change about their business to keep returning customers loyal and attract new buyers. Search for products like yours on major marketplaces, not only on other online stores. Venues like Amazon and eBay are great indicators of competitive pricing rates for your products and industry. Use their rates as a benchmark for your own prices to attract more buyers. 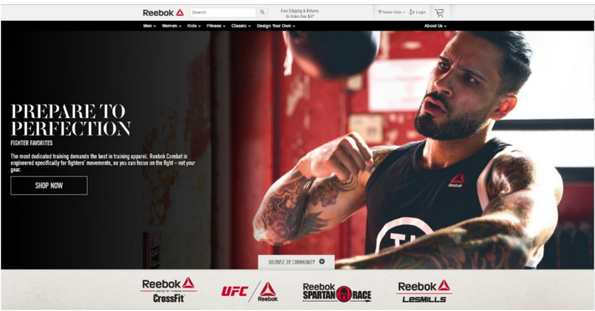 Consider the design of competitors’ sites, not just their product offerings. Note how it might be more user-friendly than your store and how it might be attracting buyers. Humans are visual creatures. We process images in 1/10 of a second and understand visual information 60,000 times faster than words. With this natural tendency towards visuals, product images make a strong, immediate impression on buyers. It’s critical to use clear, high-resolution photos that highlight the products’ details to quickly attract buyers without losing their attention. Show multiple angles of your product with photos so buyers can fully imagine the item and are aware of all of its details. Unable to see the product in-person, buyers will feel more secure with their online purchase if they have a complete visual understanding of the item. Enable a 360-degree photo tool on product pages so buyers can see the entire view of a product. Enable a zoom feature on product photos so buyers can examine your items in more detail. Online store owners don’t have to worry about marketplace rules that limit what they can include on product pages or in communication to buyers. Merchants with stores should take advantage of this control by offering incentives to buyers. Whether it’s a pop-up discount at your store’s homepage or a promotional email about an ongoing sale, sellers should actively reach out to buyers with different types of incentives to make purchases. Merchants should use data-driven tools (see tip 11) to segment their customers and target incentives at different buyer groups. 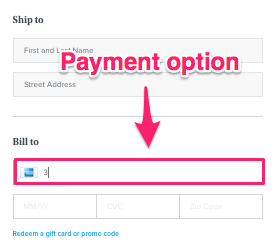 For example, you might send an email offering a discount on a first purchase to site visitors who visited product pages but never completed a purchase. 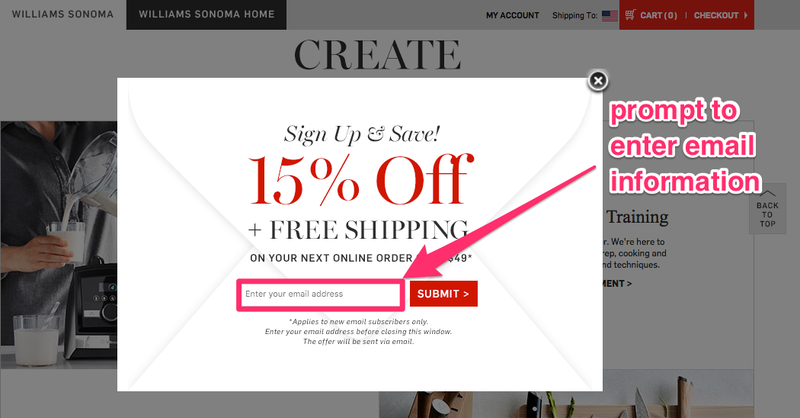 Use pop-up discount boxes on your site occasionally, not frequently. Bombarding your site visitors with pop-ups will likely irritate them and drive them away from your store. Track which coupon codes are used most frequently to determine which promotions encouraged the most purchases and should be used again in the future. 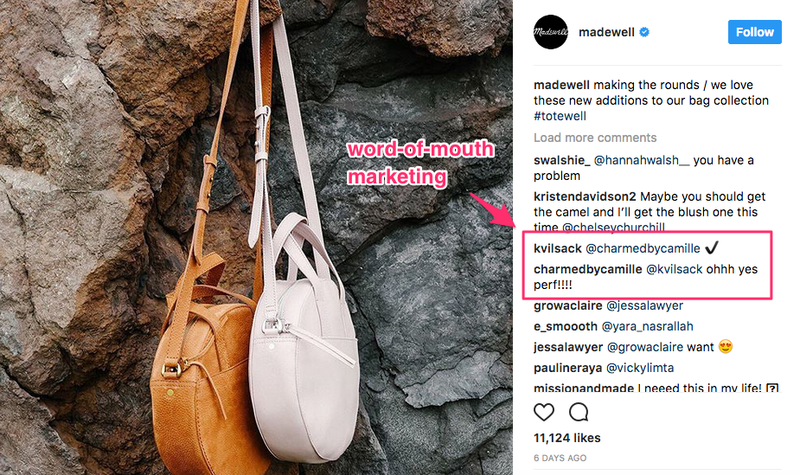 Organic word-of-mouth marketing on social media can drive your ecommerce business growth. Public discussions of your brand and products on social media channels serve as social proof — the psychological phenomenon of people assuming others’ behavior reflects correct behavior. Online buyers can’t see your products in-person, so they consider what other customers have to say about your business on Facebook to determine whether they should make a purchase. Encourage social media buzz around your product by starting a campaign that encourages sharing. For example, a brand might offer customers an entry into a contest if they leave a comment on a social media post or tag a friend. Merchants should also encourage social sharing by making their social media channels easily accessible on their site. Don’t limit social sharing to buyers! Reach out to other brands you’ve partnered with, and encourage them to share information about your business or tag your brand in their social media content. Don’t break the chain of sharing. If someone mentions your brand on social media, try to continue engaging with tactics like re-tweeting or commenting underneath the post. Email marketing is an easy way for merchants to build relationships with their customers. Merchants can send out targeted messages to segments of buyers that address each group’s specific wants. By appealing to buyers’ interests, email marketing is a powerful tool for encouraging sales and increasing revenue. To get started, you’ll need to collect the emails of buyers and make sure that they want to receive messages from you. There are plenty of opportunities to ask buyers whether they want to receive email notifications, such as at the checkout process or even in a pop-up window while they’re browsing. Not every buyer will agree to sign up for your email list, but the group of customers that do will be an eager set of buyers who are excited about your brand and will likely respond well to your email marketing. Use an email marketing tool, like Campaign Monitor, to track the success of your messages, such as how many times it was opened or which links were clicked most frequently. Track which customers unsubscribe from your email list with email marketing software. Using other information from their buyer profile, try to infer why they might’ve unsubscribed and how you can use that knowledge to prevent future cancellations. Buying a product online with a limited return policy is risky. The customer can’t see the item in-person, so they have to hope that the product is actually as-described. With the possibility of the product not being up to their standards, most buyers won’t buy an online product if returns aren’t accepted. Sellers can build buyer trust and incentivize purchases by offering generous return and money-back guarantee policies. Allowing customers to return an item if they change their mind or if it doesn’t match the product description shows other consumers that you trust your buyers and want to provide them with value. A money-back guarantee is very important. You need to give your customers a way to respond in case they do not like the product. It doesn’t mean they will necessarily ask for a refund. Of course, some of them will, but most people just need to know there is a back-up option. People, by nature, are not risk takers, so this flexible payment policy will be attractive to them. As a result, you’ll get more customers than you would if you didn’t have a money-back guarantee. Create a policies page on your site to describe the exact terms and conditions of acceptable returns and money-back guarantee claims. Your customers will appreciate the transparency of the page when trying to understand their orders. Consider offering free shipping on returns. Providing customers with free returns is an added cost for merchants, but offering the policy also brings the return of encouraging brand loyalty with great customer service. Online stores give merchants complete autonomy over the customers’ experiences. Instead of following a marketplace’s policies, a seller can set up their own online shop by their terms to shape their buyers’ product interactions. Merchants with this freedom as an online store owner can encourage more conversions if they know how to craft each element of their shop. By following the strategies outlined in this guide, merchants can become more aware of how customers perceive every store element and apply that knowledge to create their shop. Curating an online store to align with key buyers’ wants and motivations gives sellers an edge over less mindful competitors. The post 20 Killer Tips to Create a Successful Online Store appeared first on Sellbrite.